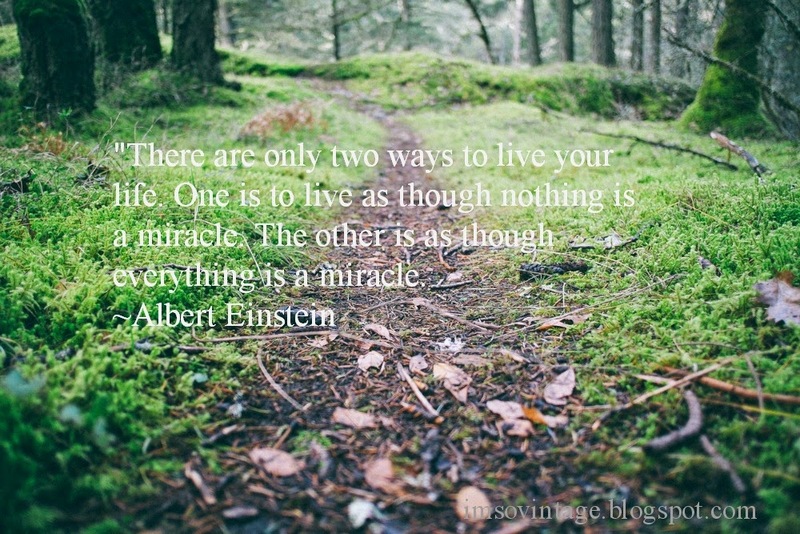 Do you ever contemplate what a miracle your life is? That each moment is a miracle? As I sit here in my chair I think about how having a computer to write a blog and reach so many people is a miracle. How breathing without a thought is a miracle. How having little aches and pains are miracles. Yes, even bad moments are miracles, because from those bad moments we learn something. I think Albert Einstein may have said it best. I hope each moment of your life today is a miracle for you. Beautiful! Thank you Laura. I hope your day is wonderful too! That certainly puts perspective on things. This is a favorite quote of mine Laura! Are you a no reply blogger now? I was going to write and tell you about a book I just started that reminded me of you. Have you read A Year by the Sea by Joan Anderson? I'm loving it so far and thought you might, too. Hugs! I think as we grow older, we realize how precious each and every moment of our life is. Especially after we've gone thru some health problems and you realize how quickly your life can change drastically. I definitely believe in miracles and am so blessed to have the life I have.